The hunt is still on to find the top business person in the Express & Star Business Awards 2019. It was a night to celebrate the best in business across the Midlands. 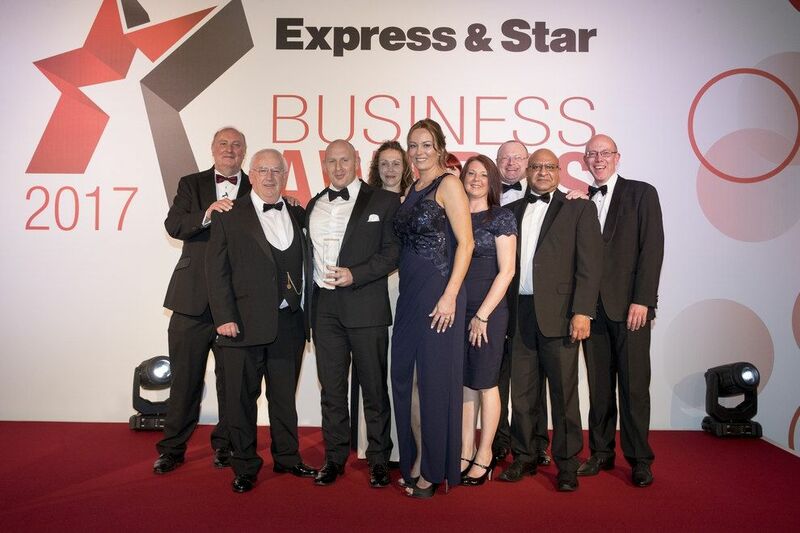 After more than 140 years the Express & Star can claim to be one of the longest-running businesses in the area. It has reported on the highs and lows of local life for generations of families. Our roots are deep, and we have always understood the importance of local businesses – large and small – to the community we all serve. That is why we originally launched our annual Business Awards – to celebrate all that is great about companies in the West Midlands. From their skilled and talented people to their ability to innovate and adapt to changing times, new technologies and the challenges of trading around the world, our firms prove every day that there is much worth celebrating. 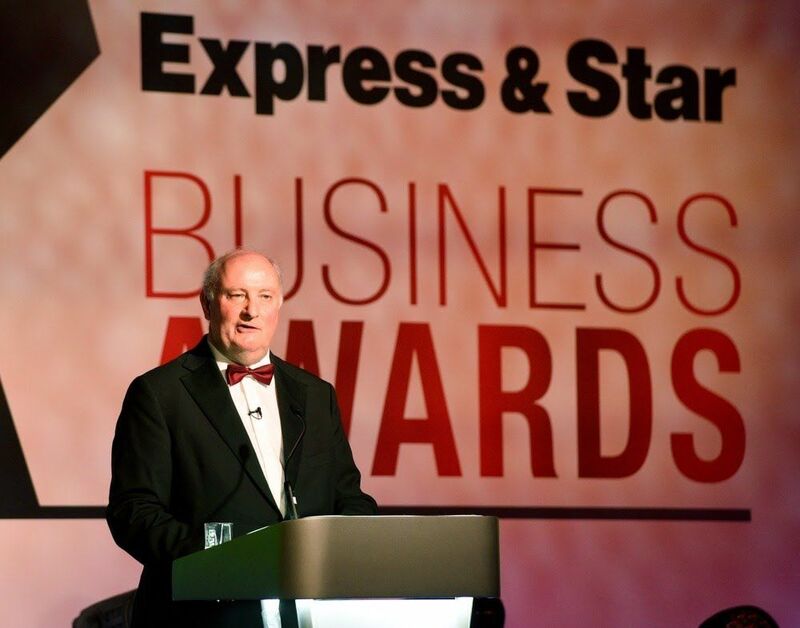 That is why it gives me huge pleasure to be able to launch the Express & Star’s Business Awards for 2018. As in previous years, this event will bring together both the private and public sectors of our community to mark the contribution of business to our area, both in terms of their economic benefits and the role they play in simply making life better. We look back on a year that has seen the business community coming to terms with major changes as it faces the constant struggle to bring much-needed growth to our economy, not least the challenges and uncertainties of Brexit. At such a time we can only express our gratitude at the loyalty and support that has been shown to our awards event by so many of its external sponsors. Our warmest thanks go to Altodigital, UTC Aerospace Systems, City of Wolverhampton Council, Higgs & Sons, Carvers Building Supplies and Jaguar Land Rover for continuing to make this the premier business event in our region. And I would like to express our particular delight at welcoming four new sponsors this year: Made in the Midlands, Crowe Clark Whitehill, Sandwell College and HomeServe. My thanks also go to the Wolverhampton Grand Theatre who are once again sponsoring the drinks reception at the awards night, and to Yarrington, who produce the event. Without the support of all these people our awards would not be possible. And our 10 main sponsors will also be playing a crucial role in judging the finalists for this year’s awards. They will be joining us on the site visits that form a vital part of the process, helping us select those firms that represent the very best of local business. It is those companies and business people who put themselves forward for these awards who are, of course, what the event is all about. 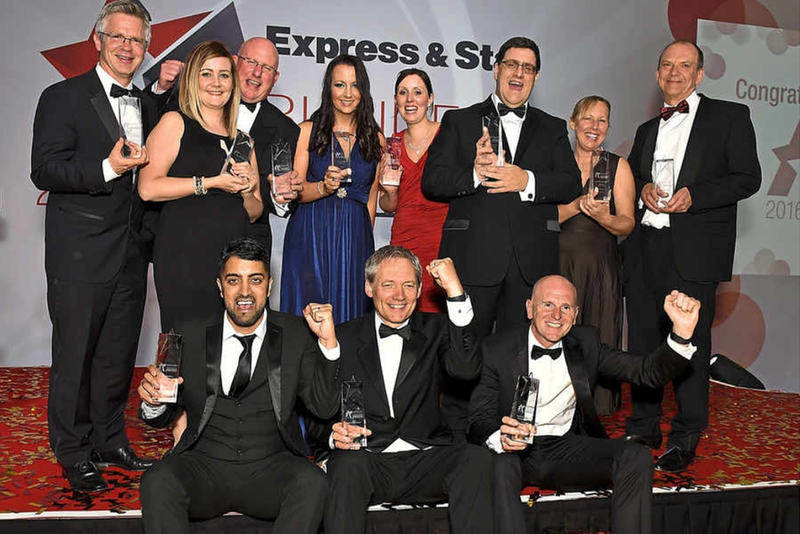 The Express & Star Business Awards provide an unrivalled opportunity for local companies to fly the flag and highlight the role they play in all our lives. I urge every business to seize this opportunity and enter the competition. We look forward to hearing from you. Find out more about entering the awards here. Today marks the start of our search for the very best companies, entrepreneurs, products and services that our region has to offer, to enter the Express & Star Business Awards for 2018. These awards will shine a spotlight on the businesses that represent the whole range of commercial activity across our region, from single traders working from a town centre office to the major manufacturers employing hundreds on major out-of-town enterprise parks ­ - and everything in between. Every year we have been able to celebrate the fabulous companies that make this area their home, and for our latest event we are aiming to attract our biggest ever entry. We want more firms to recognise just how great they are and join in, competing for the attention and rewards they so richly deserve. We can only hold these awards because of the support of our sponsors and this year we have been delighted that four new names ­– Crowe Clark Whitehill, HomeServe, Made in the Midlands and Sandwell College ­– have joined our team. You can read commercial profiles on each of the sponsor companies over the next few pages. The competition is free to enter. Turn to the centres of this special awards supplement to see the categories on offer, along with full details of how to enter. Most of the categories are open to just about every business while others have some restrictions. All the finalists, along with our sponsors and other representatives from the region’s business and civic communities will attend a glittering awards evening at Wolverhampton Racecourse on June 7. 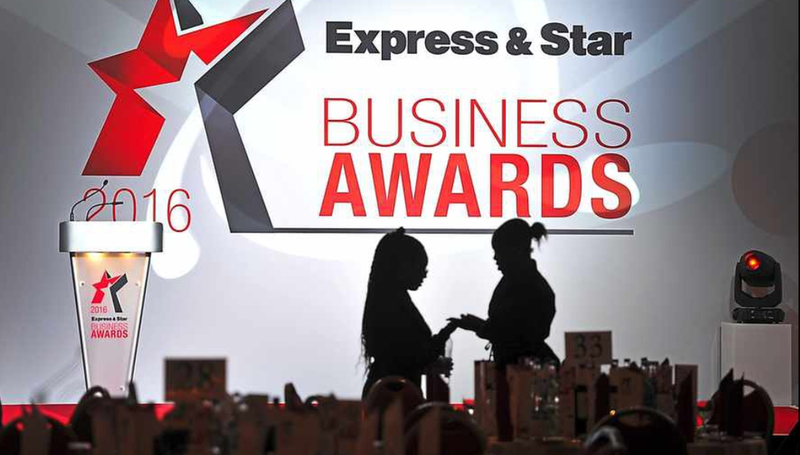 Find out more about how to enter the Express & Star Business Awards here. Sandwell College is the ideal business partner for apprenticeships, skills solutions and commercial training needs. Apprenticeships give employees and new recruits the opportunity to build on existing skills and develop technical and vocational training in the workplace, from automotive, construction and engineering to health and social care and business administration. As the fastest-growing further education college in England and the number one college for success rates in the West Midlands, Sandwell is now ranked 12th nationally out of 230. A dedicated team of highly skilled and experienced industry professionals brings a huge amount of knowledge to a whole range of accredited and bespoke courses. Working with partners and employers, the college has earned a reputation for delivering high quality training with a firm focus on meeting customer needs. Developing and delivering programmes relevant to particular industries, problems or identified skills gaps, its aim is to align courses specifically to the organisational needs of businesses. Powerful partnerships and state-of-the-art facilities for engineering and creative projects, including the Fab Lab digital laboratory, enable the college to provide free courses in association with The Black Country Skills Factory. David Hollywood is a former Sandwell College student, who has gone on to become a successful project director for Carillion. He is the man responsible for constructing the new Midland Metropolitan Hospital – a super hospital for the West Midlands. 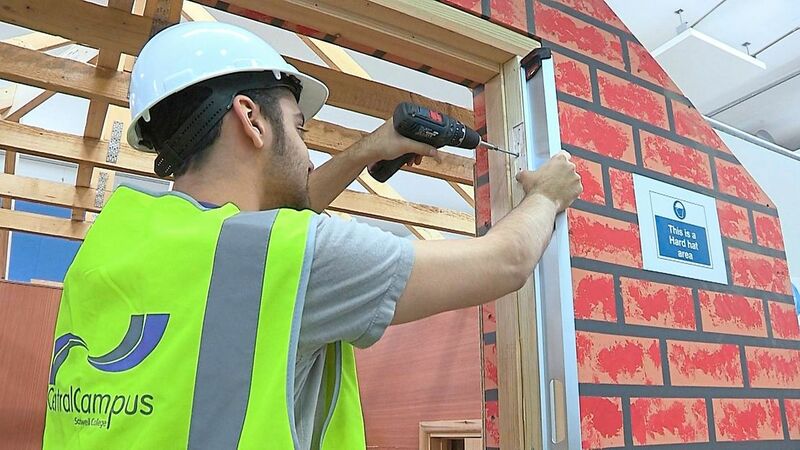 Dry-lining apprentices are now working at the site after intensive training in Sandwell College construction workshops. Conor Coughlan has progressed from a full-time college course to an apprenticeship with Kier Living, working alongside their contractors and management. Sandwell College apprentices are on a fast track to success in the automotive industry, restoring and repairing the world’s most elite supercars. Former automotive apprentice Jack Salter is now working as a panel technician, pursuing his career with Individual Specialist Cars. The 26-year-old has just been named as one of Bodyshop magazine’s ‘30 under 30’ rising stars of the industry. After also studying in his own time, Jack has become skilled in panel replacements, body repairs and welding, and has passed Audi aluminium training courses in Germany and Jaguar Land Rover steel and aluminium repair procedures with flying colours. ISC directors, Amer and Zee Mirza, are thrilled with Jack’s progress. Amer says: “It is an absolute pleasure for both Zee and myself to work with like-minded, passionate individuals who share the same work ethic as we do, and are willing to constantly learn and take the opportunities given to them here. Visit the Sandwell College website to find out more. Racing began in Wolverhampton in 1825 and moved to the current racecourse site in 1888, the first race meeting being held on August 13. 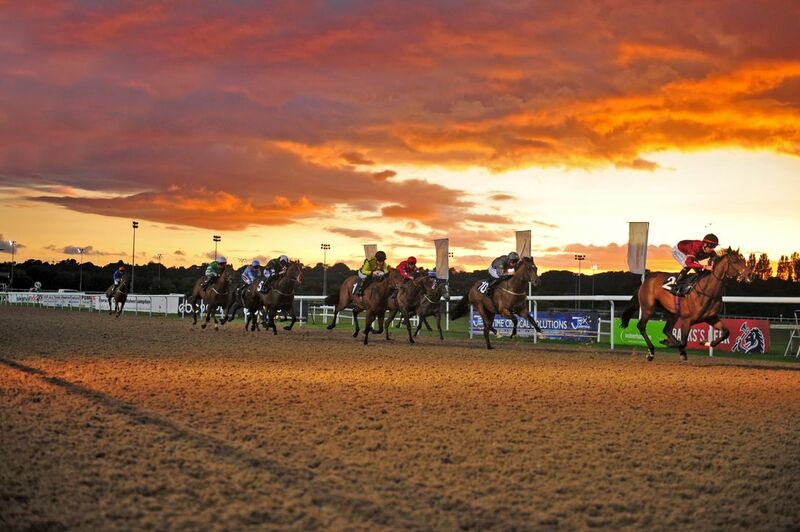 It is proud that in 1994, HRH Queen Elizabeth II re-opened the new Wolverhampton Racecourse. It now welcomes over 120,000 visitors each year to Wolverhampton Racecourse to enjoy an exhilarating and memorable experience. Located in the heart of the Midlands with racing and events all year round, Wolverhampton Racecourse and Conference Centre, with its on-site Holiday Inn Hotel and Helipad is well established as one of the region’s most prestigious venues, making it easily accessible to all visitors far and wide. The racecourse can accommodate business functions and social events for up to 600 guests in the Ringside Suite, which is on the ground floor or even larger scale events using the vast outdoor space. It is Britain’s first floodlit racecourse and extremely busy, hosting around 80 race fixtures a year, including the popular themed Music Live Saturday evening meets, the Lincoln Trial and the Lady Wulfruna Stakes plus conferences, meetings and events. In 2014, a major investment into a new high performance Tapeta track was completed, a surface that had not yet been used in Great Britain. After a three-month resurfacing period, the racecourse opened for business again with its first meeting on the Tapeta track receiving excellent reviews from jockeys, trainers, owners and racegoers. It is one of the most popular tracks within the racing community, attracting exceptional maidens such as Jack Hobbs and has recently been voted the Best Small Racecourse in the Midlands by the Racegoers Club. As part of the All-Weather Championships, it offers the very best of British all-weather racing, with 44 of its fixtures incorporating 350 flat races contributing to the championships, culminating on Good Friday 2018 at Lingfield Park with the All-Weather Championships finals day. Visit the Wolverhampton Racecourse website to find out more. Shrewsbury based Yarrington is partnering the Express & Star with support and production for the Business Awards once again. Now celebrating its 21st year in business, Yarrington continues to grow from strength to strength and is well established as the premier event production company in the Midlands. In the last 10 years they have gained no less than ten M&IT Awards (the meeting industry Oscars) for ‘Best Event Provider’. As well as supporting the MNA, publishers of the Express & Star and sister publication Shropshire Star, Yarrington has also been busy working on events across Europe and the UK for a number of high profile clients and household names. Earlier this year a conference for organic skincare pioneers, Neal’s Yard Remedies, was followed by a glittering awards ceremony at the Ricoh Stadium. Closer to home, Yarrington was busy supporting Wolverhampton Business Week, the WIRE Awards and the Shropshire Chamber Business Awards at Telford International Centre. However, Yarrington isn’t just famous for the events it produces. The company’s brief goes much further and with one of the largest creative teams in the region, it is known for its excellence in graphic design, branding and digital design, photography and video production – and all this available under one roof. Throughout the year Yarrington has been working closely with MG Motors in Longbridge producing a suite of promotional videos for their current product line-up. Using a wide range of production techniques these engaging and exciting videos have incorporated trick photography, CGI and special effects and been used as part of a wide ranging consumer campaign. Back in their home town Yarrington has been working closely with that most famous of Shrewsbury institutions, the Flower Show. 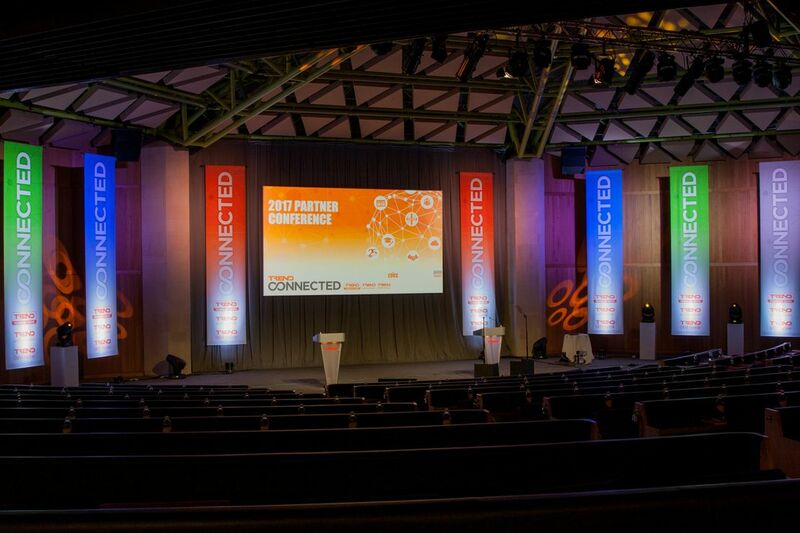 The event has benefitted from a fresh new look and the modern day technical expertise of bespoke websites, sales portals and e-ticketing solutions created and implemented by the team at Yarrington. For more information contact Mark Allsop, managing director on 01743 234190. Visit the Yarrington website to find out more. Star Public Relations will top off a successful first full year of trading by becoming an associate sponsor of the 2018 Express & Star Business Awards. The agency, which operates out of offices in Wolverhampton and Telford, opened for business in January and today, the Star PR team supports half a dozen businesses and organisations in a variety of sectors, including housing, education and training, and retail. The agency offers a wide range of PR services, including media relations, social media, event organisation and management, launches and openings, as well as content marketing, copywriting, public consultation, internal communications and stakeholder engagement. 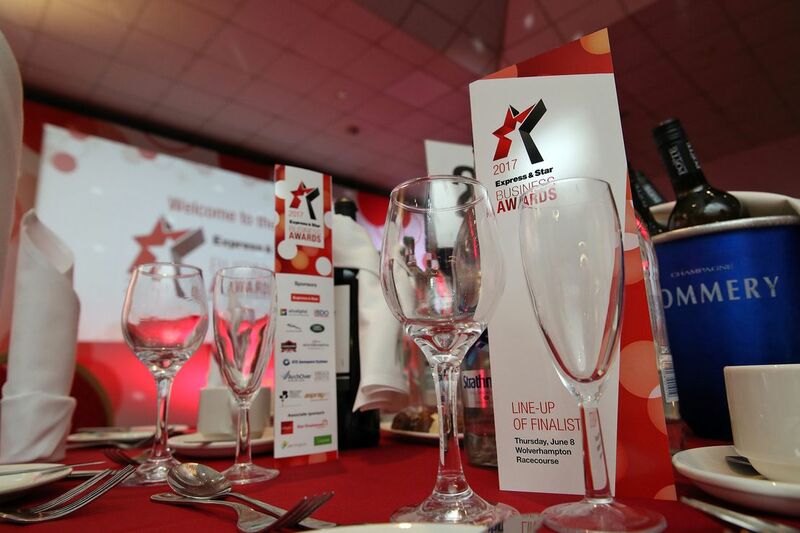 Agency director, Sundeep Sehijpal, said: “The Express & Star Business Awards are a high profile and prestigious event. 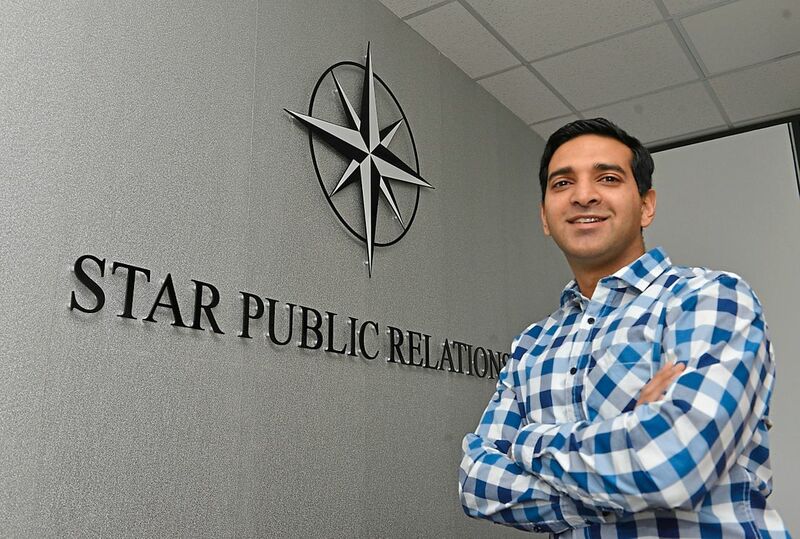 The awards celebrate the very best of what this region has to offer in terms of business and industry, which is why I’m really happy that Star PR will be part of the event as an associate sponsor. “Star PR has experienced an amazing first full year of trading because we have been able to demonstrate to clients the value of PR and how it isn’t a luxury spend, but a proven method of complementing and supporting overall business objectives. For further information about Star PR, visit www.starpublicrelations.co.uk. Following a record breaking year, Midlands manufacturing and engineering member association Made in the Midlands has announced its biggest ever exhibition, to be held at the Ricoh Arena, Coventry on June 21, 2018. The event will see more than 250 member firms exhibiting to in excess of 2,500 delegates at the Made in the Midlands Exhibition 2018, following a decision to expand floor space within the arena to 4,000 sq ft. The move comes after the Made in the Midlands 2017 Exhibition, also held at the Ricoh Arena in June this year, saw double the amount of delegates on the previous year, with 2,000 Midlands engineering and manufacturing decision makers attending to source, supply and collaborate with other Midlands firms and 200 Made in the Midlands members exhibiting to raise their profile, make new connections and win business. 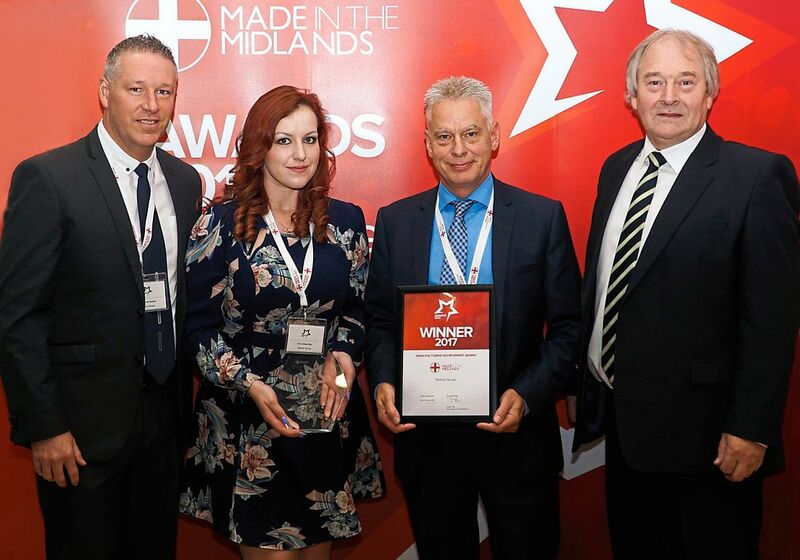 Made in the Midlands has enjoyed an extremely successful 12 months, exceeding 400 member companies for the first time, as it continues on its mission to unite Midlands industry and create a lasting legacy. The organisation now counts companies including Jaguar Land Rover, Moog Aircraft Group, ZF, GKN, Dennis Eagle, Mahle Powertrain, Yamazaki Mazak, Autins, Ricoh, Sertec, Dura, Gestamp, Hadley Group, Arlington Industries, Lander, Liberty Group and around 400 other firms amongst its members. Over the past 12 months, Made in the Midlands has also recorded over 1,000 visitors at 36 best practice Breakfast Morning events, showcasing members factories and enabling the sharing of best practice - in addition to being awarded a place on the government’s’ APMG policy group in order to represent the industry Midlands industry at national level. 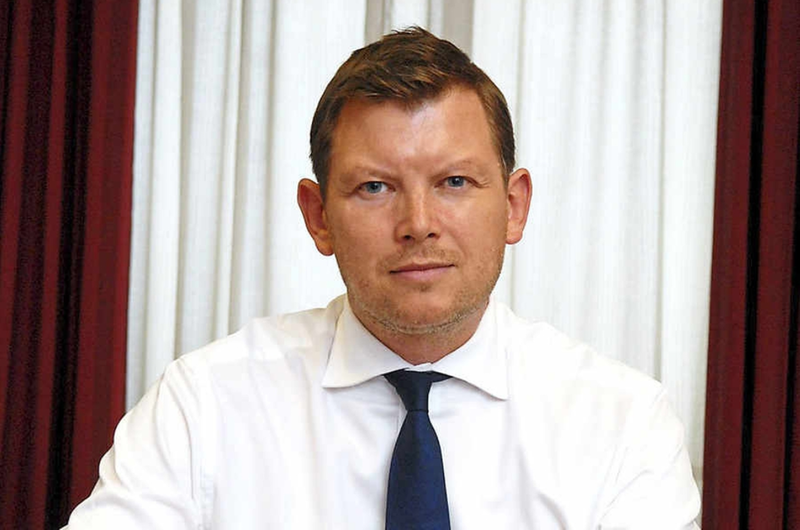 CEO Jason Pitt comments: “From ensuring that our members are better represented to government, to connecting decision makers from all corners of Midlands industry, the past 12 months has been a huge success. In the coming 12 months, we look forward to launching our Inclusivity Campaign in order to raise awareness of the competitive advantage that can be gained from employing a diverse workforce and what we believe is a huge step towards tackling the existing skills gap in Midlands industry. We will also hold our largest ever Exhibition, will be establishing a regular presence in Westminster via Made in London and continue to expand our support team, which has doubled in size over the past year alone. Exhibiting at the Made in the Midlands 2018 Exhibition is available only to members of Made in the Midlands. To enquire about the benefits of being a Made in the Midlands member, visit madeinthemidlands.com. Jaguar Land Rover’s Engine Manufacturing Centre is one of the area’s major employers, having recruited over 1400 employees over the last three years. Our support for the Community Champion Award reflects our own commitment to get involved and contribute to the area in which many of the people working at the facility live, learn and socialise. The awards aim to give recognition to businesses that we are proud to call our near neighbours, for the efforts they make in supporting a variety of charities and other organisations. As a consequence they also shed light on the determination of our local charities to support those in need, across a variety of different spectrums. We’d like to encourage as many of you as possible to not only concentrate on volunteering and getting involved in your community and supporting local organisations, but also shout about what you are doing. Without a voice, no-one can see the incredible work that you are undertaking and the commitment of your fantastic staff to some amazingly worthwhile causes. So don’t miss out on entering the 2018 awards. We look forward to reading the entries, but not so much making the difficult decision of who will be the winner. For now though, we’d like to share with you a project that we’ve undertaken aimed at supporting our chosen charity, Midlands Air Ambulance Charity (MAAC) We hope it inspires you to share your stories and enter the Express & Star Business Awards. In 2015, we asked our employees to provide us with their nominations for a charity or organisation that could form the focal point to our fundraising activities at the EMC. This was the start of our own Corporate Social Responsibility journey and one which has grown and developed over the last couple of years, in line with the wider CSR commitment of Jaguar Land Rover. As a business Jaguar Land Rover is committed to supporting its employees to volunteer and lead projects local to them. Many undertake projects that are close to their heart, some just like to get involved to give something back and feel passionately about making a contribution. We had a variety of suggestions from our call to arms, all of which were reviewed by a cross-functional team, who we call the People Committee. As a result, three finalists were chosen. Then came the big vote. We placed voting stations across the facility to give as many people as possible the opportunity to vote for their preferred organization. It really was a close run competition, with MAAC emerging as the winner. Since then we’ve been proud to support the organisation, which has its headquarters in Stourbridge. It’s been a two-way partnership, they’ve helped us by attending our very first Employee Family Open Day and regularly visit us on site, to help raise awareness of what they do. Likewise we’ve encouraged our employees to look at fundraising activities, to support them. Our super-fundraising Conrad Westwood, who works in our Diesel Assembly Hall, has taken part in a number of activities, including completing the gruelling Ride 100 Prudential Challenge, the Conrad Canter (although others will know it as the Coven Canter) and many more. He’s also just signed up for his latest adventure and plans to take part in the Velothon Wales in July 2018, so he’s training hard. We’ve also recently completed a volunteering project with MAAC as part of our annual 12 Days of Christmas Campaign, which saw members of the EMC team help with the packaging of Christmas merchandise and collection tins. Being process driven, the volunteers managed to clear a backlog of orders and it was a really fun activity for team-building. 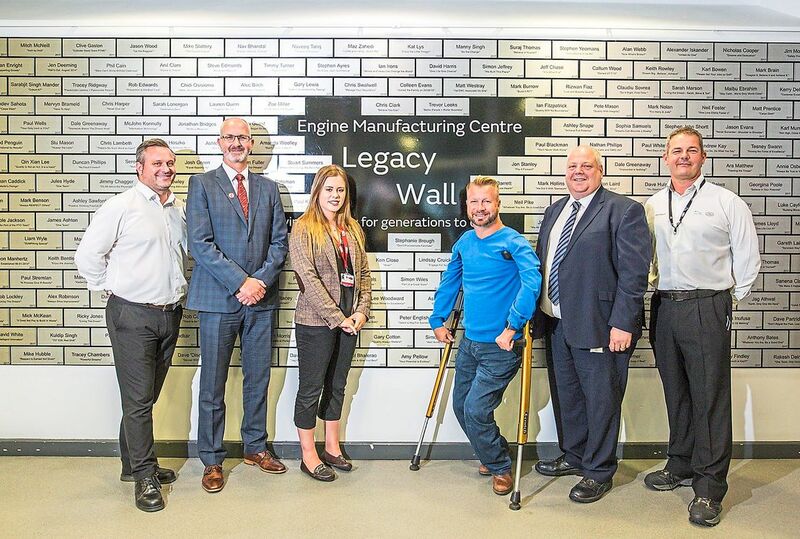 However, by far the biggest project that we’ve undertaken on behalf of MAAC has been our Legacy Wall, situated at the facility in the link corridor between our production areas. The EMC’s Machining Manufacturing Manager, Jon Stanley came up with the idea, having been inspired by a similar project at Birmingham Children’s Hospital. As part of the first phase, we asked the EMC workforce to provide an inspirational message that could be displayed on a brushed aluminium-style plaque on a wall, along with their name, for a minimum donation to MAAC. It was open to all employees and the resulting money raised topped £3,000 for the charity. MAAC and Jaguar Land Rover Ambassador Sir Lee Pearson CBE, alongside special guests from MAAC, unveiled the wall at an event earlier this year. It’s proved a fantastic focal point for employees and visitors alike, who stop and read the messages. It’s also a reminder of where we were, where we are and where we hope to be, as the facility grows and we recruit more people. Going forward we’ll be launching the second phase of our Legacy Wall, hoping to raise even more money and engage more people in our workforce so they can understand the impact that their Legacy has on others, internally and externally. Over the last two years we’ve raised over £14,000 for Midlands Air Ambulance Charity. This equates to around five life-saving missions. However, being a good community champion isn’t just about money. People and time are the biggest assets that a business can give. So let’s get inspired to support even more projects. For us, being part of a community, is about giving something back, not simply by employing local people, but seeking out opportunities and being fully integrated in all aspects of the community. And of course, we’d really like to hear about some of the amazing work that others are doing, by entering these awards you not only shed light on your achievements, but also raise awareness of the charities that you support. So get involved, get inspired and get drafting. We look forward to reading your submission. Visit the Jaguar Land Rover website to find out more. As the UK’s leading home assistance provider, more than 2.2 million UK customers place their trust in HomeServe to help them when it comes to fixing, maintaining and looking after their homes. For more than 20 years, HomeServe has helped keep customers’ lives moving by delivering a range of services, including plumbing, drainage, electrics, heating and much more, through a nationwide network of HomeServe approved engineers. Led by CEO, Greg Reed, HomeServe Membership has more than 3,100 employees, with sites in Walsall, Preston, Banbury and Nottingham. 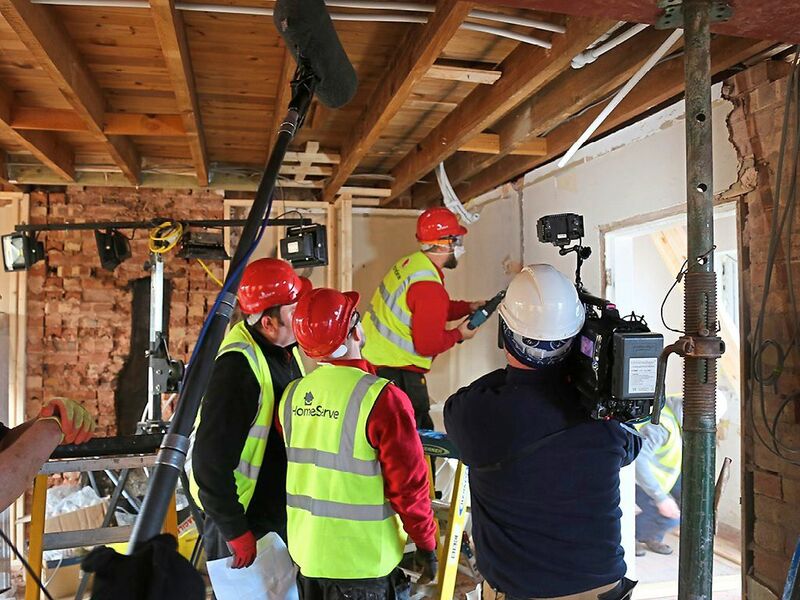 HomeServe works alongside a range of major utility and energy companies – including many familiar household names – to deliver products and services into the nations’ homes. HomeServe has also recently upgraded its Nottingham office to a new facility in the city which will incorporate a national ‘Gas Centre of Excellence’ accredited training centre for all of its engineers, ensuring a high quality of effortless service will be delivered to customers. The Walsall-based business has a simple mantra; if you look after your people, they will take care of your customers and the rest will take care of itself. HomeServe believes in building the brand from the inside out, which means that its people become its strongest advocates and its customer service shines through. It is a strategy that means everyone from senior management to frontline engineers feel empowered to be the best they can be and engaged in what they are doing because they know they are making a real difference in customers’ lives, driving a real sense of purpose. This has helped HomeServe become one of the UK’s best places to work as well as a top employer for work life balance according to independent careers website, Glassdoor. HomeServe is an award-winning business, having achieved recognition from several prestigious organisations. In early 2017, an independent survey from the Institute of Customer Service said HomeServe was the most improved company in the UK services sector for Customer Satisfaction, demonstrating that it is delivering on its Customer Charter, a set of promises its people live by to ensure that the customer is truly at the centre of everything the company does. HomeServe Membership CEO, Greg Reed, said: “We know how important it is to keep our Customers’ lives moving and deliver an effortless experience. We are committed to making sure our network of engineers are truly industry-leading whether that is through apprenticeships or ongoing training at our new facility at Aspect House in Nottingham. Visit the HomeServe website to find out more. Crowe Clark Whitehill is proud to sponsor the Family Business of the Year award to recognise and celebrate the contribution that family businesses make to the economy. 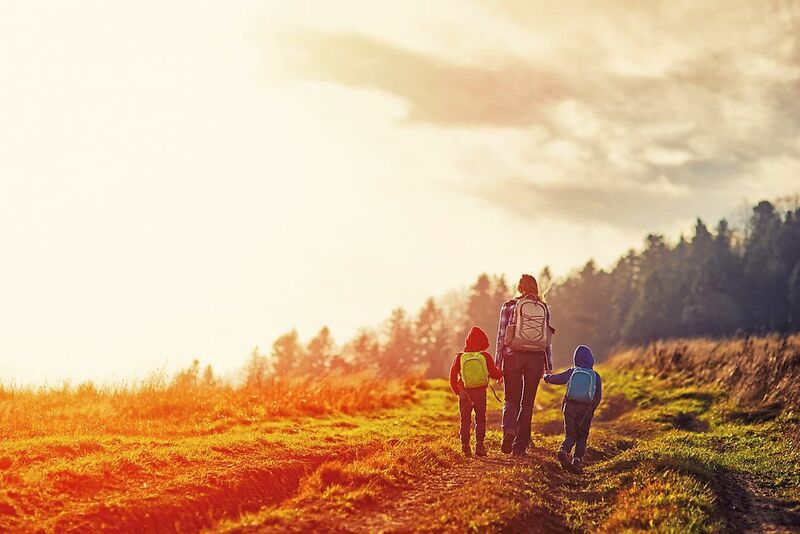 At Crowe, we support and advise many family businesses across the Black Country, Worcestershire, Shropshire, Staffordshire and the wider Midlands, offering accountancy, tax and advisory services. We work with family businesses to build something valuable, substantial, and enduring. Close working relationships are the cornerstone of our effective service delivery. We take the time to understand you and your business, working in partnership with you to support your goals and ambitions. We seek to help you make smart decisions that bring lasting value. We are proud of our specialist support that helps you to focus on developing the future leaders of your business, on bringing through the next generation and helping those family members who are not in the business. Growth and succession strategies are key to the future success of any company, but none more so than the family-owned and run business. We have global reach through our partners across Crowe Horwath International, ranked as the eighth largest global accounting network, consisting of more than 200 independent accounting and advisory firms in close to 130 countries around the world. 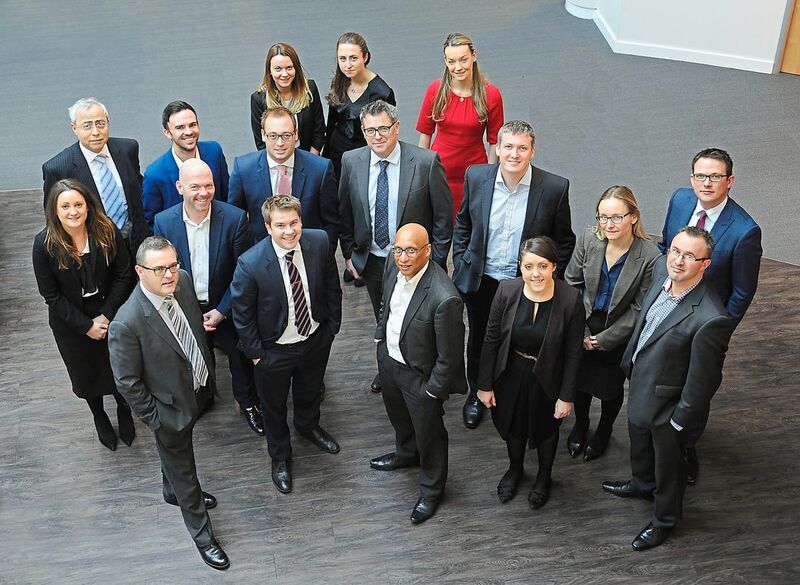 From our Midlands office in Oldbury, with support from our national and international firm, we can help you grow in the UK and reach out globally to take advantage of trading opportunities that exist in your sector and marketplace. Our aim is to become long-term trusted advisors to the family businesses with whom we work. Everything about us: our structure, our training programmes, our working life, and our personal and professional success criteria, is driven by this goal. We are trusted by thousands of clients for our head for figures, our specialist advice and our readiness to go the extra mile to give our clients success. Visit the Crowe Clark Whitehill website to find out more. Support is available to City of Wolverhampton businesses of all sizes to help them realise their ambitions for growth. City of Wolverhampton Council, in partnership with the Black Country Growth Hub, has a team of Business Navigators employed to understand business growth and guide companies to relevant support and networks. The service includes a European Funding business engagement programme that offers Small Medium Enterprises (SMEs) a business review which could lead to a bespoke programme of relevant business support. Workshop programmes – also delivered through the European programme – cover topics such as product and market diversification; managing people; performance management; business finance; improving chances of tender success; increasing sales through digital marketing; support for innovation; process improvement; and other sector specific workshops. The service also helps with planning, environmental health, business rates, access to finance and supply chain opportunities. The council recognises how important it is for businesses to be able to recruit a workforce with the right skills. Wolves at Work - introduced earlier this year - is helping companies to match people from the city with vacancies, including apprenticeship positions. The service works closely with businesses and people to first make the match and then support those crucial first months in work. To find out how the service can help your business contact the Black Country Growth Hub on 01902 321272 or visit bcgrowthhub.com. Kalsun Aluminium, a Wolverhampton business, is being helped with its expansion plans by the city council after securing a £1 million contract to supply specialist noise-reducing windows for the city’s Sunbeam development. 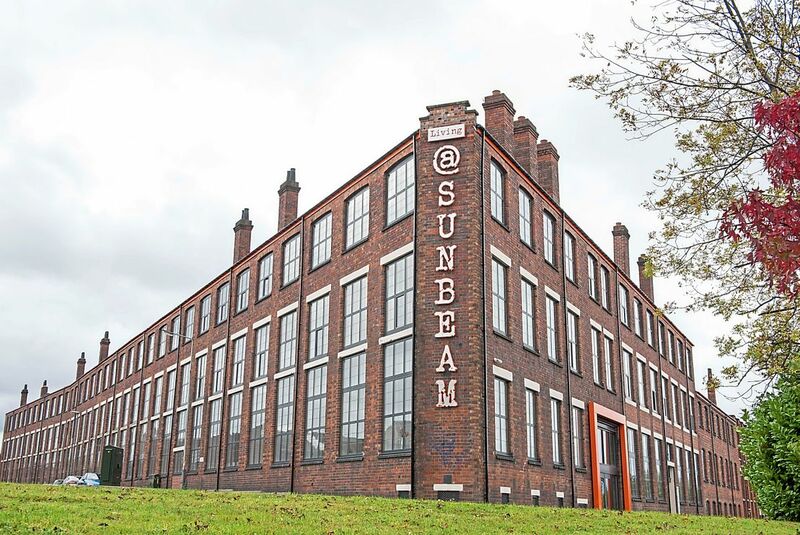 Wolverhampton-born developer Liam Wordley is in the final few months of a £12.5 million, four-year project to convert the historic Sunbeam factory off Penn Road island into a mixture of 117 one to six-bedroom apartments. Kuldeep Burmi, Kalsun Aluminium managing director, said: “This is one of our biggest contracts and the help we have had from the council’s business support team has helped us progress. Councillor John Reynolds, Cabinet Member for City Economy, said: “The Sunbeam project highlights exactly how regeneration in the city is benefiting local people and businesses. “To see this historic city centre landmark being brought back to life is fantastic and to know it has helped a Wolverhampton company expand and take on more workers is the icing on the cake. The council is providing business support through ERDF-funded programme AIM (Black Country Advice Investment and Markets), helping with growth potential, inward investment, and market development. AIM pools the resources of the four Black Country local authorities, University of Wolverhampton, and Black Country Chamber of Commerce, to provide specialist consultancy to SMEs via the Black Country Growth Hub. Visit the City of Wolverhampton website to find out more. Don’t move, improve .. with a one stop shop at Carvers! 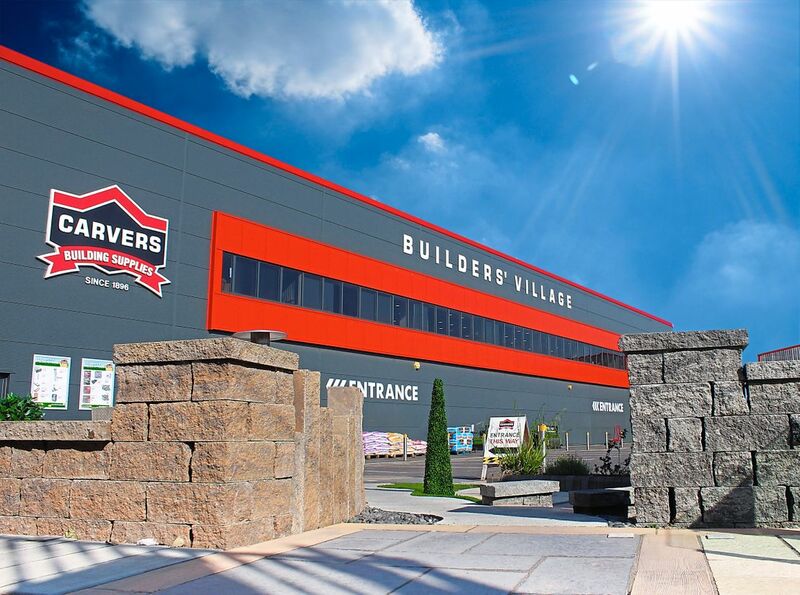 Carvers Building Supplies operate from a single site depot in the heart of Wolverhampton’s ring road. The family run business, now in the fourth generation of the Carver family are incredibly fortunate, as over half of their employees have achieved their 10 year service with the company and they pride themselves on being a major local employer, with much of their workforce living within a three mile radius. Carvers are open to both the trade and general public and have a whole host of retail friendly showrooms and specific trade counters to ensure customers of the best quality of service. In today’s uncertain markets, more and more homeowners are deciding to stay in their existing homes rather than taking on the onerous (and not to mention costly) task of moving home, which is where Carvers can help. Carvers design centre showrooms have a complete range of modern, contemporary and traditional kitchens and bathrooms with accessories to suit every budget. A full design and installation service is available (should you require) and they also offer flexible finance packages that can help make your new project more affordable. Carvers Cooker Centre houses some of the finest range cookers in the world, from makers such as Lacanche, Esse, Viking, Mercury, Smeg, Falcon, Bertazonni, Britannia and Aga-Rangemaster, backed up by in depth expertise, from people who really know the cooker industry, inside and out, and a service team who will strive to make your installation as smooth as possible. Priding themselves on being one of the best locally, the Landscaping display at Carvers showcases 1000’s of products to provide plenty of inspiration for your next garden project. Carvers also supply turf, astro turf, soil and decorative chippings and even have a Hire Centre, if you are thinking of tackling the work yourself! Carvers know their trade customers are short on time, that’s why the Drive Through Warehouse stocks a full range of insulation, plasterboards, cement, timber and joinery products. Ideal for servicing trade customers, it has a centre drive lane and parking lanes on either side, allowing vehicles to park next to materials and be quickly picked and loaded, all whilst undercover. In a moving tribute to his workforce, Henry went on to say “We are a fantastic team here at Carvers and everyone plays their part in making the Company the success that it is”. Carvers are delighted to support the Young Business of the Year category again this year. 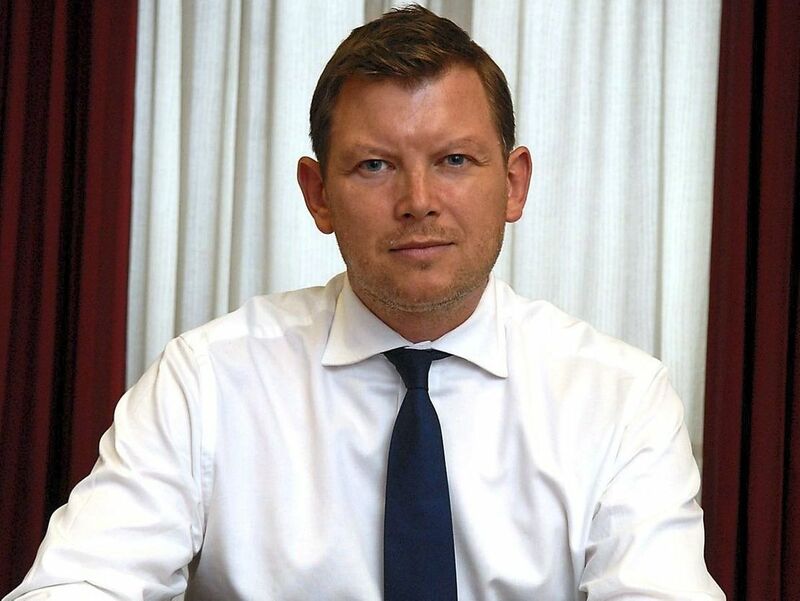 Henry comments: “A vibrant small business sector is the future of our city and the Black Country, as old industries die and new ones replace them. 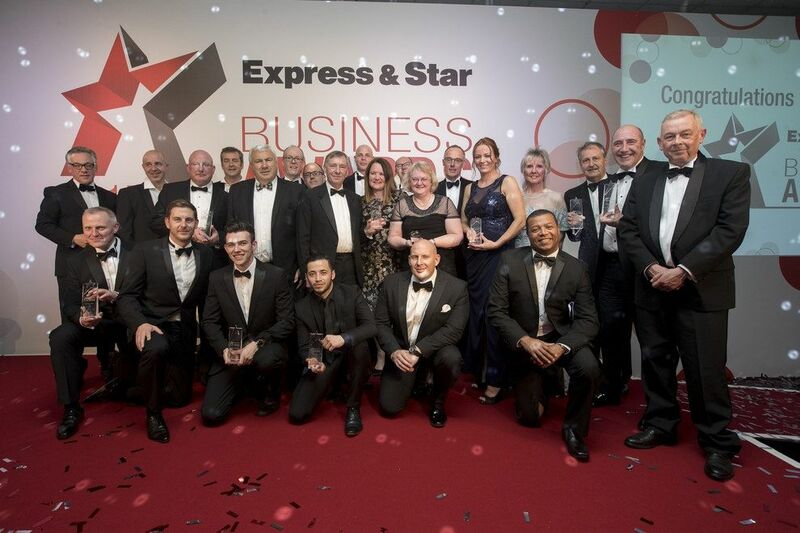 Young businesses, above all need to be nurtured and encouraged and that is what the Express and Star business awards are all about and that is why we are pleased to be associated with them”. Visit the Carvers website to find out more. Altodigital is one of the UK’s largest independent providers of office technology and supplies. Its range of products and services span across every aspect of the office, resulting in a portfolio that can truly offer everything an office needs, from one place. Altodigital’s managed service plan means that you and your staff don’t have to worry about your systems and equipment breaking down, or the cost involved in upgrading or putting them right – providing you with more time, money and space to focus on growing your business. Through Altodigital’s established partnerships with world leading brands, coupled with the expertise and experience of our sales and service teams, it is the ideal office technology partner to choose. Altodigital is local to you. It operates from a series of thirteen regional offices that are spread throughout the UK, with the largest operating out of Kingswinford. This national coverage allows the company to offer on the spot support to its 8,000+ clients, so you can rest assured you’ll experience the local touch, no matter where your company is based. The business is proud to employ over 450 staff and through their expertise and experience is able to provide a comprehensive range of managed services direct to your door. Inefficient processes and sub-standard print, IT or communications equipment can really hold a business back and stop it from reaching its true potential. Altodigital is focused on understanding its customers and helping their workplaces become more productive. Its mission is to inspire positive change in the workplace, so the company is passionate about helping its customers improve their business. Altodigital’s knowledge, balanced with its ability to offer the best products and services in the market, ensures it does just that. It provides office technology and equipment that is easier to use, modern in appearance, more functional, faster and environmentally friendly, which all has a hugely positive impact on staff. It will increase motivation, collaboration, productivity and efficiency – all things that will improve the overall performance of your business. Altodigital will work in partnership with you from beginning to end. Before any decision is made Altodigital will gain an in depth understanding of how you operate and where any frustrations lie, along with what improvements you and your staff want to see. Altodigital will explore your business processes, the technology you use and the costs that are associated. This will all be followed up with recommendations for positive change. It will then have the knowledge, expertise and experience to implement the appropriate and desired solutions that will be tailored to your requirements and budget, yet scalable, so that you can be sure that as your organisation grows, your infrastructure will not be left behind. Visit the Altodigital website to find out more. When the global aerospace community looks for ideas and solutions to its greatest challenges, they turn to UTC Aerospace Systems. We help propel aerospace and defence forward in ways beyond imagination. We combine creativity and science to develop results that make air travel more intelligent and more electric. With 90 product lines supporting 1,500 operators on 70,000 aircraft, we have 2.5 million components in the air. Every second, a flight takes off with our systems on board. Our Stafford Road based Actuation Systems headquarters is a hotbed of innovation and transformation which will support key programme ramp up for air travel over the next few years. We’ve invested heavily in new state-of-the-art machinery to ensure we have the very best precision tooling for our engineers; we’ve also transformed production, key assembly and test lines. We know our equipment is only as good as the people we employ and the teams they build. We’re proud of the engineering and manufacturing talent we continue to recruit and retain because nurturing and growing talent is the bedrock of our business. 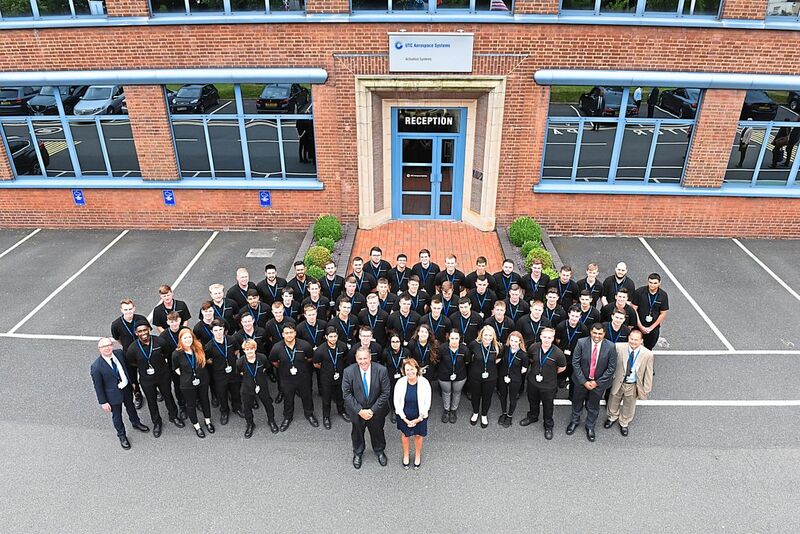 This year the Fordhouses facility welcomed a record number of Apprentices and Graduates, illustrating its commitment to ensuring a pipeline of the very best talent for the industry. We understand that awards are integral to building reputation and recognising excellence. That’s why we’re proud to sponsor the Manufacturing Award for the fifth consecutive year. “The West Midlands has a strong and proud manufacturing and engineering heritage and we are working hard to ensure the talent we attract and retain is developed so that future success is assured,” said Robert Hupfer, General Manager of Actuation Systems in Wolverhampton. Leading West Midlands law firm Higgs & Sons has enjoyed another impressive year of success and sustained growth. For the sixth year running, the Black Country based firm will be sponsoring the Small to Medium Sized Business of the Year category in the Express & Star’s Business Awards – having spent the last year advising on numerous high profile transactions. Amongst its notable deals, Higgs acted for the shareholders of Westbridge Foods on its sale to a Thai plc, SG International Holdings, on two major acquisitions and Wavenet in relation to continued acquisitions. Higgs has continued to support local businesses with their growth and succession planning needs and supported their need for high quality support when entering into B2B and B2C contracts both nationally and internationally. Higgs prides itself on providing tailored legal advice to expanding businesses that is based on meeting their needs now and in the future. The firm offers the flexibility and strength-in-depth to draw upon specialists in areas including banking, employment, tax and commercial property in order to provide a truly holistic service to clients. With several high profile appointments over the last 12 months, each bringing with them industry-leading expertise, the firm has grown across all departments. Within the Corporate team, appointments have enhanced its service provision across the board. Craig Thomas and Joanna Lane joined as Associates bringing a wealth of senior experience in corporate tax and commercial contracts respectively, whilst Solicitor Rachael Watkins brings additional expertise in succession planning matters and Paralegal Laura Hackett brings experience gained from the commercial world having worked in high end retail marketing for several years prior to joining the firm. Their appointments see the Higgs Corporate team now being able to offer 24 specialist lawyers to the region’s business community. Higgs & Sons’ award winning Corporate team is recognised as one of the most progressive in the region. With a breadth of experience across many different types of business sales, acquisitions and merger & acquisition work, the department acts for national and international organisations, from banks, PLCs and large private companies to owner managed businesses. Managing Partner, Paul Hunt is positive about the region’s future, despite the current uncertainty. “There is a great deal of speculation about what we can expect from a ‘post-Brexit economy’, but Higgs & Sons is ideally placed to respond to our clients’ changing needs and the opportunities that may arise. Visit the Higgs & Sons website to find out more. Growth from a bedroom office to a successful and expanding operation employing 52 in just 12 years landed 1st Access UK of Willenhall the Small to Medium Sized Business of the Year award. 1st Access directors Jason Loydon and Vikki Lindop, received the award from Andy Ball of sponsors Higgs & Sons. "We feel ecstatic – it is a great achievement to have won this award. We are over the moon," said Jason. "I really didn't think we would win. There were some excellent contenders up against us," added Vikki. They put the winning of the small to medium sized business title down to having a great team. "We are only as good as the people who work for us. We have a great team around us. "Pretty much all our workforce are local people from Willenhall," said Jason. Judges said the story of 1st Access was of a family firm that had grown from a brave idea thanks to the dedication, courage and initiative of its owners. The company, which is based at The Courtyard, John Harper Street, makes, installs and services aluminium windows, roller shutters, automatic doors and industrial door products. The 1st Access Group now includes 1st Access UK, provides national, 24/7 service and maintenance to all types of roller shutters and industrial doors; 1st Access Shopfronts, which design, manufactures and installs a range of shopfronts and 1st Architectural Aluminium, specialising in design, making and installing curtain walling and aluminium windows. Ist Access offers its clients a full in-house design package and is able to advise them on the best products suited to them. 1st Access needed a significant site to allow growth to continue and in January 2014 the directors bought a large industrial site, previously known as Willenhall Locks. Substantial investment has since been made in the site. The development of the 33,000 sq ft site is continuing as the business expands and every element of the renovation has been done to be sympathetic to its history. The other three finalists were BCRS Business Loans, Wolverhampton; Bond Wolfe, West Bromwich, and Commercial Express, Brierley Hill. Every year the event attracts entries from across the business spectrum, from the smallest of SMEs to FTSE-listed multi-nationals – all of them vying to walk away with one of the prestigious trophies up for grabs. This year is no different, but the Express & Star want to make sure as many companies as possible seize the opportunity to win glory and raise their profile across the region by taking part. The deadline for firms to enter is March 2 – just a fortnight away. Companies can compete in any number of 11 awards categories, which range from young Business of the Year to Small to Medium Sized Business of the Year, Micro Business of the Year, Manufacturing Champion, Growth & Innovation Award, Customer Service Champion, Community Champion, Best Use of Technology, Best Use of Technology, Business Person of the Year and the blue riband Business of the Year title. All the finalists, along with the awards sponsors and other representatives from the region's business and civic communities will attend the glittering prize-giving event at Wolverhampton Racecourse on Thursday, June 8. A&M EDM, winners of the SME of the Year in the 2016 awards can vouch for the valuable impact of the awards. The Smethwick-based engineers of components for aerospace, automotive and Formula 1 customers experienced internal and external benefits by winning an award. A&M's entry focused on the company's growth and highlighting its manufacturing capabilities. All finalists are visited by a panel of judges, asking questions based on their entry. A&M believe this robust approach makes an Express & Star award something worth winning. Mark Wingfield, managing director of A&M EDM said: "We encourage all Black Country businesses to enter the 2017 Business Awards, writing our entry highlighted our strengths, which we then applied to new business. Being selected as a finalist raised our profile with coverage in the Express & Star and winning boosted our confidence and credibility to win new business and generated enormous pride amongst our workforce." 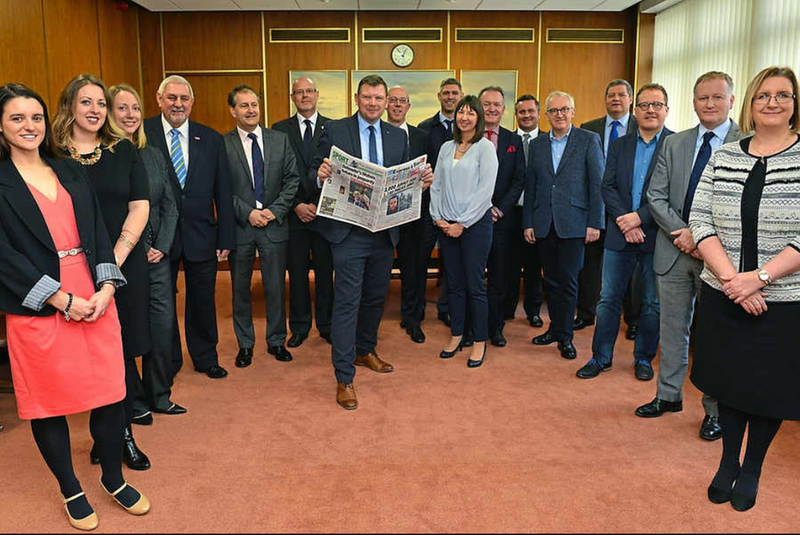 The Express & Star Business Awards will be an opportunity to 'fly the flag' for companies across the area, Editor Keith Harrison told a gathering of sponsors at the newspaper's Queen Street offices in Wolverhampton. Scores of companies have already registered to take part in the region's premier business competitions over the coming months, culminating in a glittering awards night in June. The entrants will be whittled down to a shortlist of more than 30 companies, each of which will undergo a testing examination during a site visit by teams of awards judges in the hunt to find the best businesses in the area across a series of awards categories. Judges from both the newspaper and its parent company, MNA, and from each of the sponsor companies, he said, "will have the privilege of going out to see some of the work going on in our area. "These businesses are something we can shout about in the Black Country. By flying the flag for them people can see we are open for business irrespective of what is happening locally or in the country." Mr Harrison was speaking during a buffet lunch meeting for the event's sponsors, including the newest addition: the Black Country Chamber of Commerce Platinum Group, which is supporting the search for the Customer Service Champion. He also thanked the returning sponsors – Aspray24, Carvers Building Supplies, Higgs & Sons, BDO, Jaguar Land Rover, City of Wolverhampton Council, UTC Aerospace Systems, ArchOver and Altodigital – for their continuing support; "Without you these awards would not be possible," he said. Wolverhampton Grand Theatre will again be sponsoring the drinks reception at the awards night, at Wolverhampton Racecourse on June 8. We have always understood the importance of local businesses – large and small – to the community we all serve, writes Express & Star Editor Keith Harrison. Our roots are deep, and we have always understood the importance of local businesses – large and small – to the community we all serve, writes Express & Star Editor Keith Harrison. That is why it gives me huge pleasure to be able to launch the Express & Star's Business Awards for 2017. We look back on a year that has seen the business community coming to terms with major changes as it faces the constant struggle to maintain much-needed growth in our economy. The result of the EU referendum and a dramatic change in government in the United States both bring challenges and opportunities. Nine of the 10 companies and organisations involved this year have returned after previous service as sponsors – several of them have been with us from the start. Our warmest thanks go Aspray24, Carvers Building Supplies, Higgs & Sons, BDO, Jaguar Land Rover, City of Wolverhampton Council, UTC Aerospace Systems, ArchOver and Altodigital for continuing to make this the premier business event in our region. And I would like to express our particular delight at welcoming our newest sponsor, the Black Country Chamber of Commerce - The Platinum Group, which will be supporting our search for the Customer Service Champion. And our 10 main sponsors will also be playing a crucial role in judging the finalists for this year's awards. They will be joining us on the site visits that form a vital part of the process, helping us select those firms that represent the very best of local business. 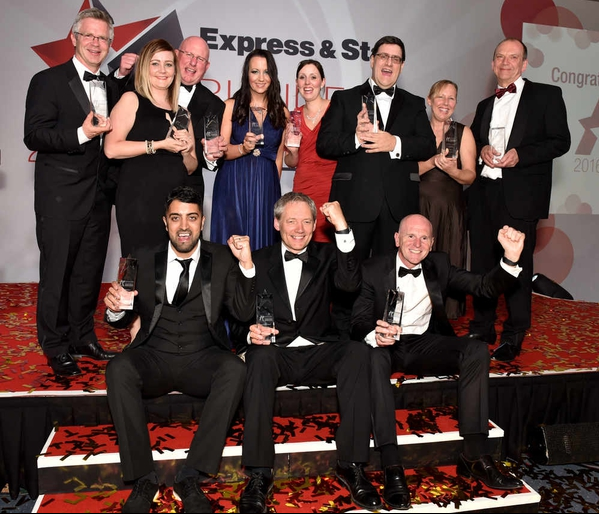 The Express & Star Business Awards 2017 proved an occasion to highlight the very best our region has to offer in the world of commerce and industry. Companies large and small, from across the Black Country and south Staffordshire, showed why this remains the beating heart of the UK's business community. At the end of a night of high drama the biggest award of the evening went to Wolverhampton's Marston’s Beer Company, declared the Business of the Year at the sold-out black tie event at Wolverhampton Racecourse. In front of an audience of around 400 at the racecourse, event compere Alan Dedicoat – TV’s famous ‘Voice of the Balls’ on the National Lottery programmes – described it as an evening “to celebrate everything that is great about business, here in the Black Country and south Staffordshire”. But there was also time to think about the wider community, and for those in need. A raffle collection for a string of top prizes helped raise £2,840 on the night for the chosen charity: the Beacon Centre for the Blind. More than 30 companies had won through as finalists for the 11 awards up for grabs at the event, but competition was fierce. One of the toughest for the judges was selecting the winner of the evening’s only individual award, for Business Person of the Year. Today we profile each and every one of these outstanding winners. Wolverhampton Racecourse, event production company Yarrington and Star Employment Services. Story originally published on expressandstar.com and can be viewed here. Today we launch the search for the very best companies, entrepreneurs, products and services that our region has to offer, to enter the Express & Star Business Awards for 2017. These awards will shine a spotlight on the enterprises that represent the whole range of commercial activity across our region, from single traders working from a town centre shop to the major manufacturers and services companies employing hundreds on major business parks – and everything in between. 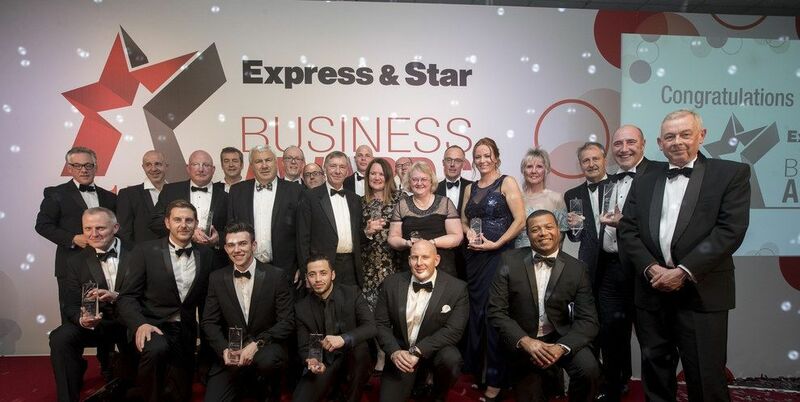 Whether their turnover is counted in the thousands or the billions, whatever sector they operate in, the firms highlighted in the Express & Star Business Awards are always the brightest and the best. Every year we have been able to celebrate the fabulous companies that make this area their home, and for our latest event we are aiming to attract our biggest entry. We want more firms than ever to recognise just how great they are and take part in these awards, competing for the attention and rewards they so richly deserve. We can only hold these awards because of the support of our sponsors, and this year we are delighted the Black Country Chamber of Commerce – The Platinum Group join our other established supporters. You can read commercial profiles on each of these sponsor companies over the next few pages. The competition is free to enter. Turn to the centres of this special awards supplement to see the categories on offer, along with full details of how to take part. Some of the categories are open to just about every business imaginable, while others have certain restrictions. All the finalists, along with our sponsors and other representatives from the region's business and civic communities will attend a glittering awards evening at Wolverhampton Racecourse on Thursday, June 8. Make sure you are part of the region's most prestigious event by entering the Express & Star Business Awards 2017.